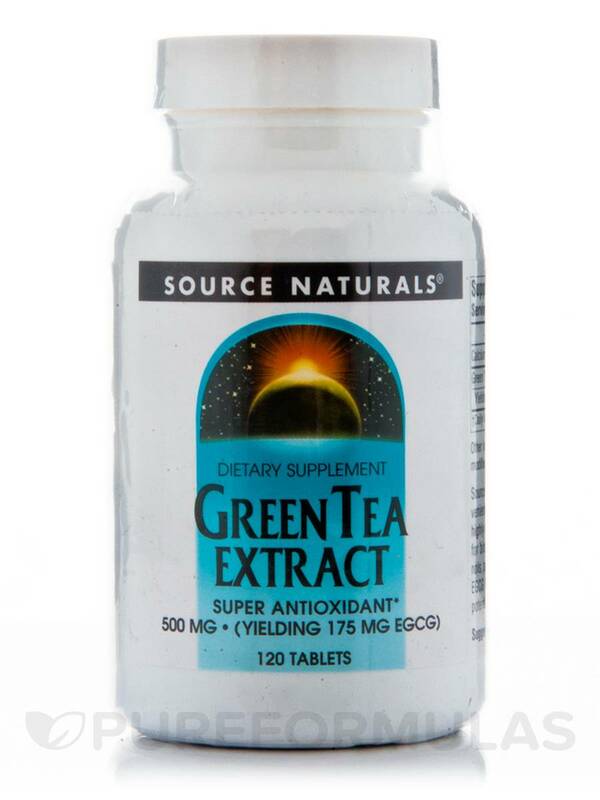 I used to order Green Tea Extreact 500 mg by Source Naturals from another place but pure formulas beat them! Green Tea Extract 500 mg 120 Tablets from Source Naturals are a powerful antioxidant‚ which may support healthy cellular function. Green tea is rich in catechins‚ which are antioxidants that potentially fight‚ and may even prevent‚ cell damage. Antioxidants are substances that can possibly prevent or slow cell damage. Any compound that can donate electrons and counteract the activity of free radicals has antioxidant properties. Exposure to oxygen can break atoms‚ which might leave some with unpaired electrons. These go on to become free radicals that can set off dangerous chain reactions. This could damage cells‚ which can potentially lead to some serious health risks. 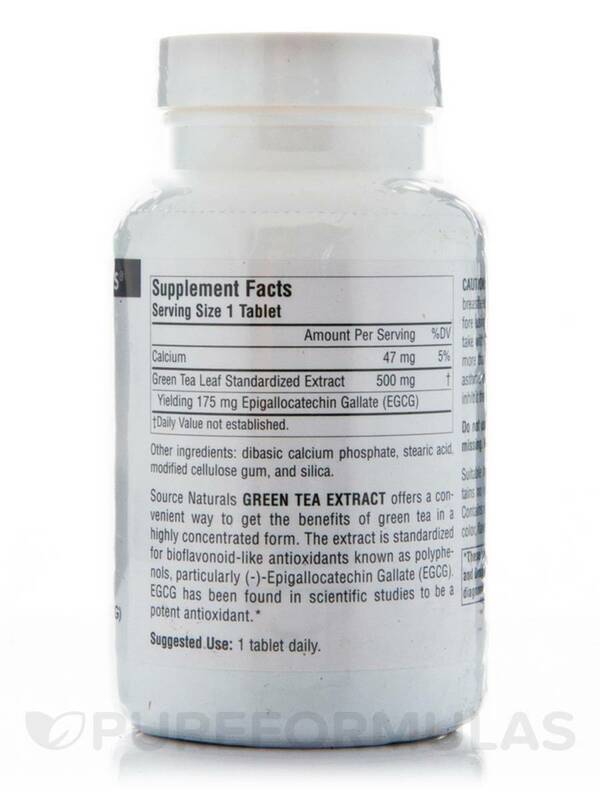 Green Tea Extract 500 mg 120 Tablets from Source Naturals offers a convenient way to incorporate these potential benefits of green tea. The extract is standardized for bioflavonoid-like antioxidants known as polyphenols‚ particularly Epigallocatechin Gallate (EGCG). The Green Tea Extract 500 mg 120 Tablets from Source Naturals is suitable for vegetarians and contains no yeast‚ dairy‚ egg‚ gluten‚ corn‚ soy‚ wheat‚ sugar‚ starch‚ salt‚ preservatives‚ artificial color‚ flavor‚ or fragrance. Dibasic calcium phosphate‚ stearic acid‚ modified cellulose gum‚ and silica. 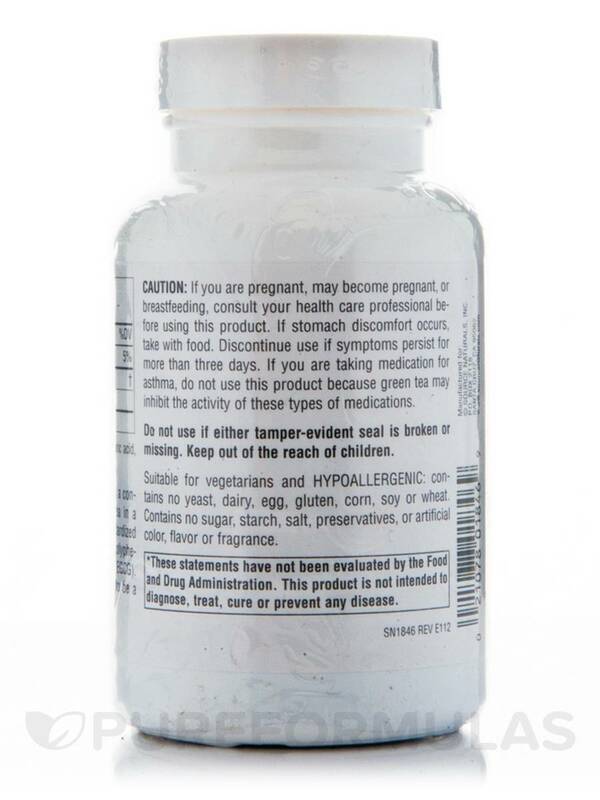 If you are pregnant‚ may become pregnant‚ or breastfeeding‚ consult your health care professional before using this product. If stomach discomfort occurs‚ take with food. Discontinue use if symptoms persist for more than three days. If you are taking medication for asthma‚ do not use this product because green tea may inhibit the activity of these types of medications.Do not use if either tamper-evident seal is broken or missing. Keep out of the reach of children.Suitable for vegetarians.